We create great looking website designs for companies of all types and sizes, from startups to large blue-chip organizations. Whether it’s a simple web page, complete internet web site, intranet, extranet or web application, Momentum can help you every step of the way. We create beautiful, usable and accessible website solutions for our clients. BeOne InfoTech working on your guidelines will upgrade your existing website to a whole new level or else create an entirely new website. You want a great looking creative solution, but maybe you also need something powerful or friendly or both, something which reflects your brand? BeOne InfoTech designers bring brands to life online. 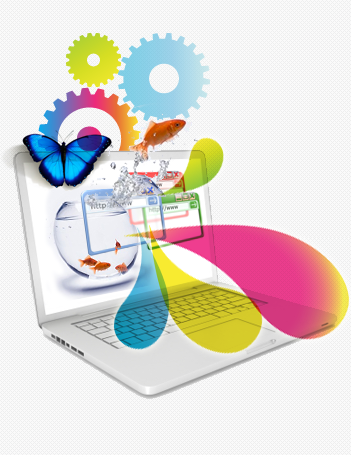 Our Web Design and Development cell follows a strict requirement based module. This module helps both us and the client to get what they want within their budget limitations. Depending on which we create a Simple Website for small businesses to Custom Professional Website for corporate and multi-national companies. At the very beginning itself when we start work, we discuss with client whether Static Website / Dynamic Website / WordPress Website is needed. We have a large number of highly satisfied clients over the world. Our main motto is client satisfaction. We always maintain quality of work with cost effective methodology and development process.